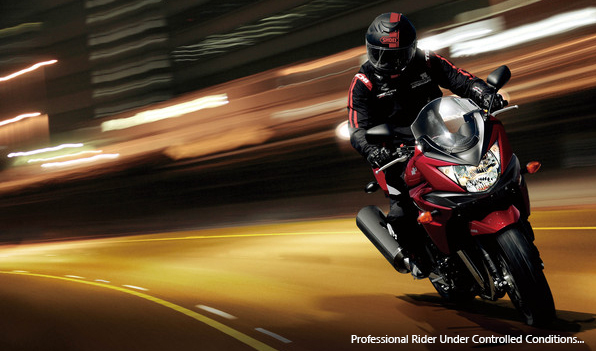 Iconic Brand, legendary motor & new spec have evolved the biggest Bandit into a top value sports tourer. New more "aerodywhatsit" fairing & ABS brakes make the spec what it needs to be. has been about, power & value. The new bike has both in abundance. A solid 100bhp & masses of usable torque. And value?...immense! 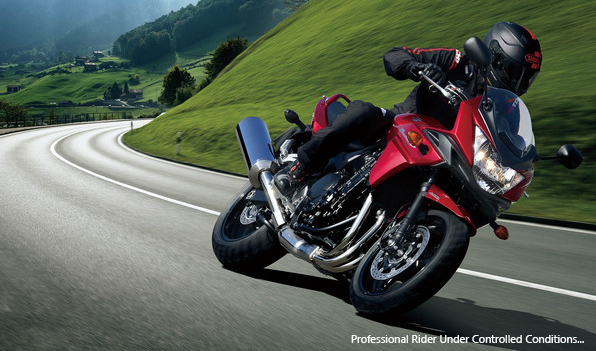 Powering the Bandit is a 1255cc liquid-cooled, fuel-injected, DOHC engine delivering extra smooth acceleration and a wide spread of power for relaxed motorway cruising. With a full 1255cc of torque producing displacement, the power plant is tailored to wide ranging sporty enjoyment, generating peak torque from relatively low in the rev range. 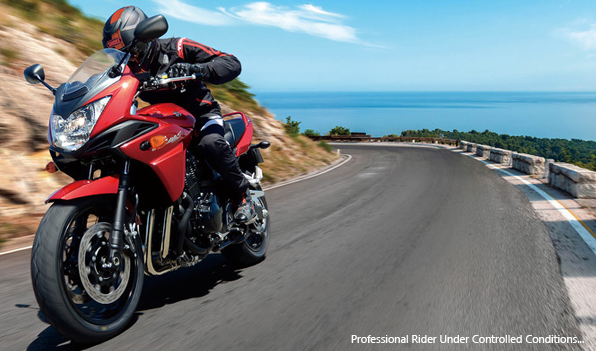 The Bandit 1250S ABS has a single rear shock that works with a progressive, rising rate link system designed to respond smoothly to road irregularities. Rear shock rebound damping and spring preload are adjustable. Wrapping around the radiator sides and vented just below the headlight, the sculpted half-fairing design is the result of repeated wind tunnel testing. This design achieves better aerodynamics and wind protection giving both the rider and passenger great riding comfort. 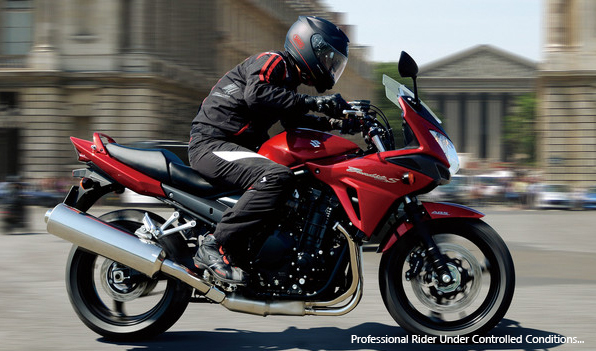 The Bandit 1250S ABS is equipped with digital ABS and monitors wheel speed, matching stopping power to available traction. It comes with fully floating 310mm-diameter dual front brake discs with 4 piston callipers and a 240mm diameter rear disc brake with a single piston calliper. The analogue tachometer on the left incorporates FI and ABS indicators. 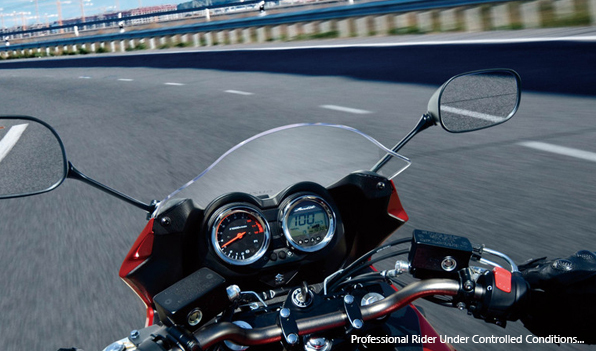 The LCD panel on the right displays a digital speedometer and odometer, dual trip meters, clock, and a fuel gauge. The height of the comfortably contoured seat can be adjusted up or down by 20mm. The grab bar is fitted as standard and incorporates hooks on either side of its base that are convenient on long tours. Also standard is the convenient centre stand. 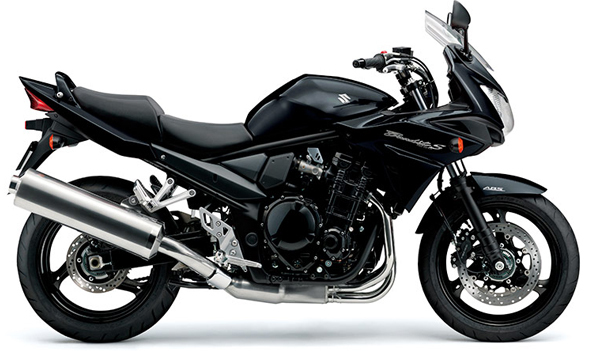 The new Bandit 1250S ABS refines its styling with a sculpted half-fairing that wraps around the radiator sides and is vented just below the headlight. In addition to sharpening the Bandit’s looks, the fairing improves aerodynamics providing riders with great wind protection and riding comfort. 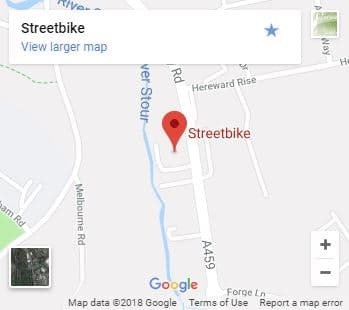 There is no stock currently listed for this bike. Please call Bike Sales direct on 0121 296 5664 for advice.